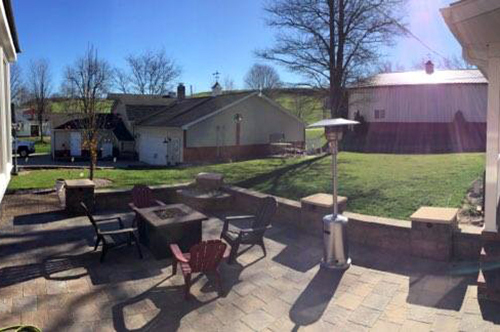 Gotch & Company, Inc. is a family-owned, community-oriented business providing high-quality landscaping and property maintenance services in and around Carroll County, Ohio. We offer a comprehensive scope of land care services, ranging from winter snow plowing to summer yard maintenance. Let us help you keep your property pristine! Gotch & Company, Inc. has been providing residents of Carroll County, OH and its surrounding communities with holistic property maintenance services since 1984. We tailor our complete range of services around the needs of each customer, ensuring every property is getting exactly what it needs to look beautiful and stay kempt. Our crews offer everything from parking lot salting to lawn service in Carrollton, OH, serving you in any season. And, boasting more than 35 years of industry experience, we bring an old-fashioned work ethic and intensive attention to detail with us to each jobsite. We consistently strive to do right by our clients and provide them with stunning outdoor spaces that they love! Our company offers holistic landscaping installation and care, tending to every single need your property has, both individually and as a whole. We only use nursery-grade plant materials to ensure beautiful, lush results and healthy, happy plants on your landscape. Our teams perform custom hardscaping and more to blend the natural beauty of your property with man-made, practical installations. We belong to both the OLCA and the OLNA, showcasing our steadfast commitment to being leaders in our industry. We offer year-round landscaping services. Turn to us for lawn and garden service in the summer, as well as snow removal and de-icing in the winter months. To make the most of your property’s outdoor space, schedule an appointment with Gotch & Company today! We offer free estimates on all of the landscape services we provide.